Hand Painted Wooden Jerusalem Wine Cup With Matching Coaster Plate. 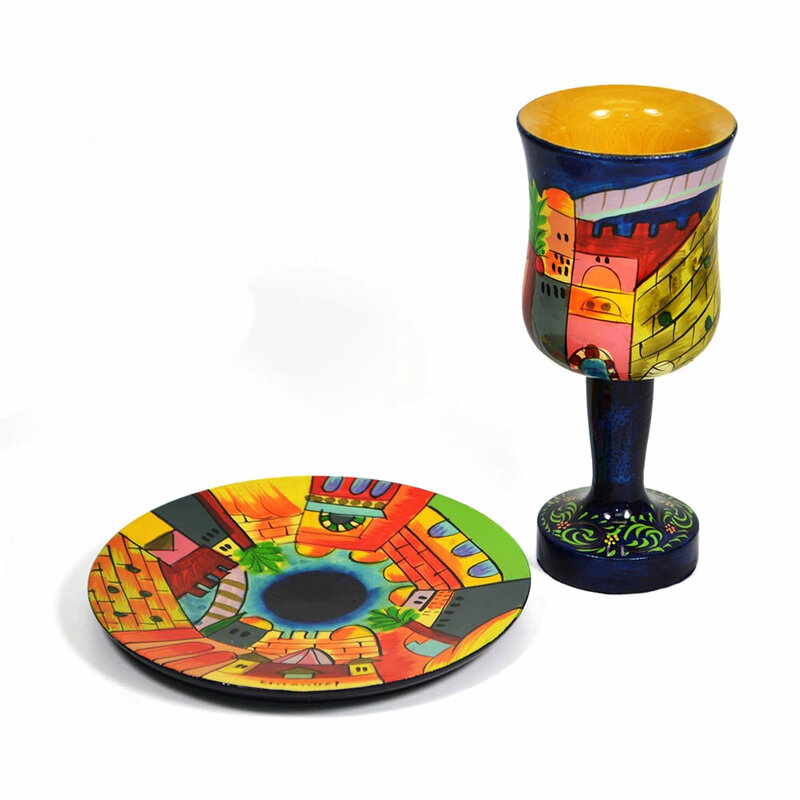 The Vibrant Colors Of Jerusalem On This Wine Cup Will Come Alive On Your Holiday Table. This Wine Cup Can Be Used For Shabbat, Passover And Many Other Holidays. Hand Painted In Israel At The Workshop Of The World Renowned Artist Yair Emanuel. This Wine Cup Stands 5.7" Tall And The Coaster Is 4.5" Round. My wife and I were looking for a unique Kiddush Cup for a gift for a close friend. We discovered this on-line. The cup was perfect, beautiful, well made and well packaged.. and, great service.